The Tennessee Workers’ Compensation Appeals Board recently created its own version of this principle by addressing three important issues in a single factual setting. In just one case, the judges resolved the role of precedent, addressed burden of proof requirements in Expedited Hearings and outlined the process for determining whether or not to provide a panel of physicians — and the penalty that might result where a panel is wrongfully denied. Reliance on precedent from the Tennessee Supreme Court is appropriate unless it is evident that the Supreme Court’s decision or rationale relied on a remedial interpretation of pre-July 1, 2014 statutes, that it relied on specific statutory language no longer contained in the Workers’ Compensation Law, and/or that it relied on an analysis that has since been addressed by the general assembly through statutory amendments. The Appeals Board articulated a common-sense approach. It simply doesn’t make sense to entirely disregard 90-plus years of caselaw. So, don’t get rid of these just yet. 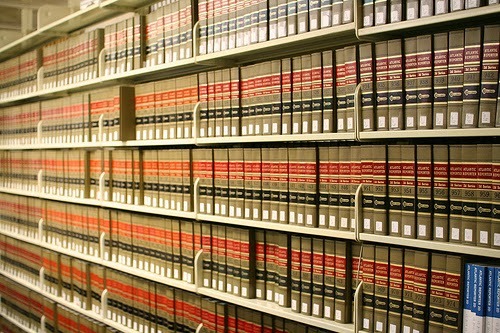 An employee need not prove each and every element of his or her claim by a preponderance of the evidence at an expedited hearing to be entitled to temporary disability or medical benefits, but must instead present evidence sufficient for the trial court to conclude that the employee would likely prevail at a hearing on the merits in accordance with the express terms of section 50-6-239(d)(1). Mere notice of an alleged workplace accident, in and of itself, does not trigger an employer’s duty to provide medical benefits in every case, without regard to the particular circumstances presented. If an employer chooses to deny the claim following its initial investigation, the employee must come forward with sufficient evidence from which the trial court can determine that the employee likely will prove a compensable “injury by accident” at a hearing on the merits in accordance with section 50-6-239(d)(1). Conversely, an employer who elects to deny a claim runs the risk that it will be held responsible for medical benefits obtained from a medical provider of the employee’s choice and/or that it may be subject to penalties for failure to provide a panel of physicians and/or benefits in a timely manner. Importantly, in a footnote to the Opinion, the Board directed the reader’s attention to newly effective Tenn. Comp. R. & Regs. 0800-02-01-.25 (2015) regarding penalties. Failure to provide a panel for a workplace injury that would qualify for medical benefits may result in a penalty not to exceed five thousand dollars ($5,000.00). In sum, the Appeals Board delivered a three-point field goal in McCord. It’s a must-read.